The ADS-1500W connects to your wireless network, or to a single machine to scan at up to 1200 x 1200 dpi resolution (interpolated) and 600 x 600 (optical). 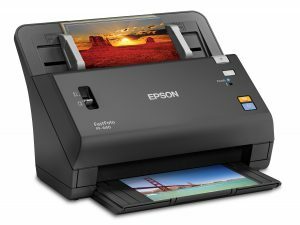 Its compact size and many features make it great for a home office or small business that regularly scans and digitizes printed information but may not have space for a larger scanner. 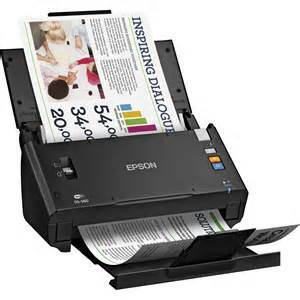 Wireless, fast and easy to use, the WorkForce ES-500W duplex document scanner cuts down on clutter. 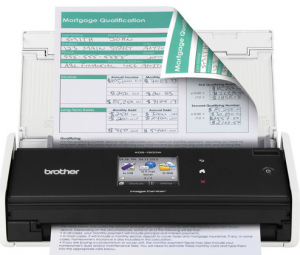 Delivering high-quality scans at speeds up to 35 ppm/70 ipm, the DS-575W document scanner gives fast-paced businesses the solutions they need for more efficient document management. 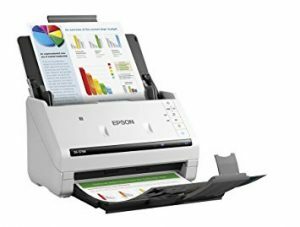 Boasting easy wireless scanning (1) and the fastest scan speeds in its class (2), the WorkForce ES-300W compact duplex document scanner keeps you organized at the office and on the road.